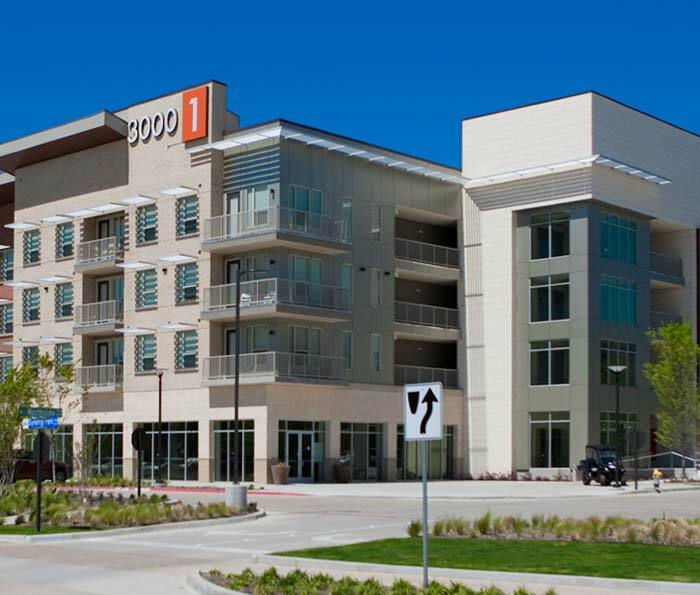 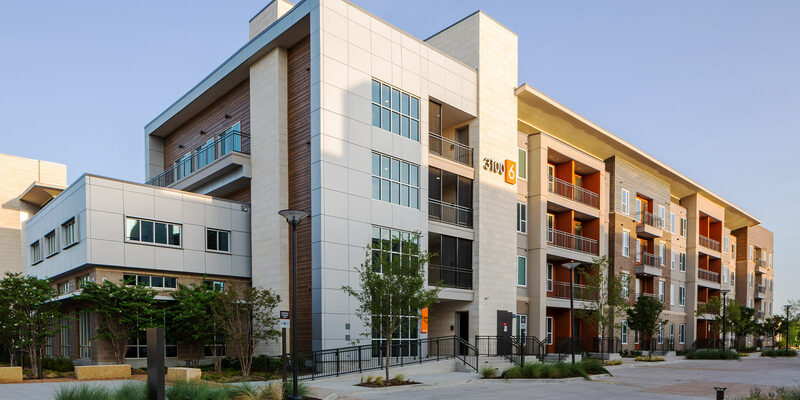 This is the second phase of a multi-phase development just across the street from the University of Texas at Dallas campus. 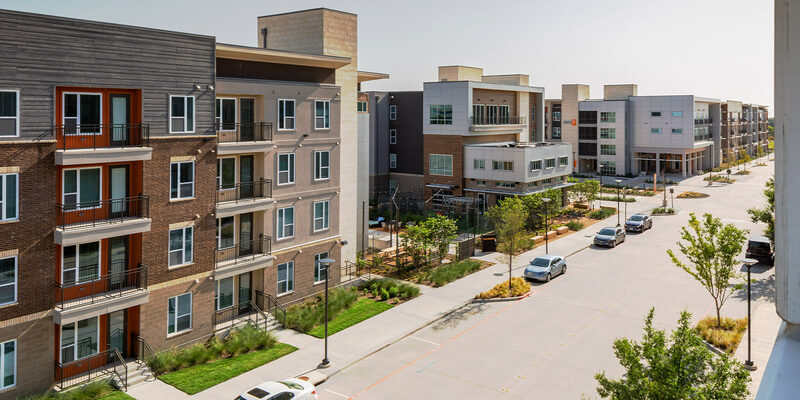 This phase was designed as primarily student-style apartments with a mix of townhomes, studio, 1, 2 and 4 bedroom unit types in 5 buildings. 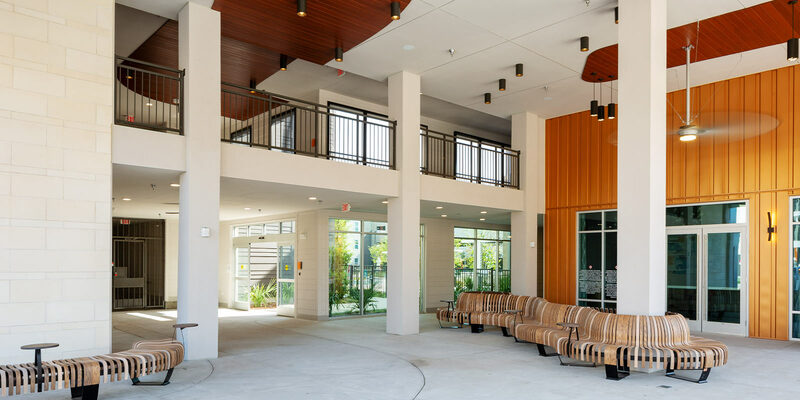 The large courtyard building invites the community into the paseo with ample seating and views of the beautiful courtyard. 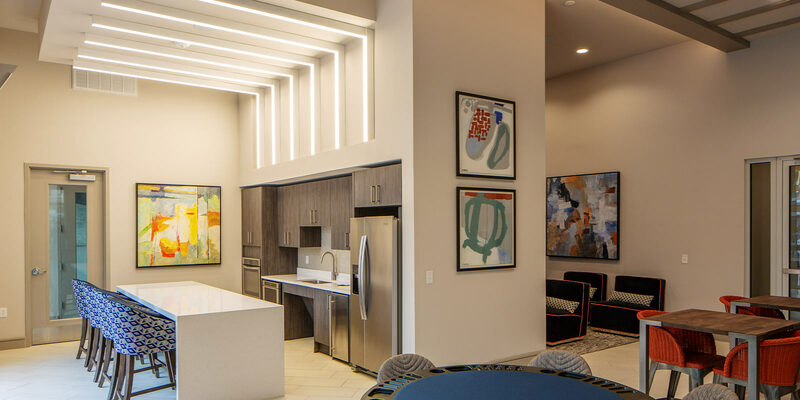 This project has many different amenities such as a clubhouse, a 4th floor lounge, a 2 story fitness area, an outdoor fitness area, study rooms and a leasing office. 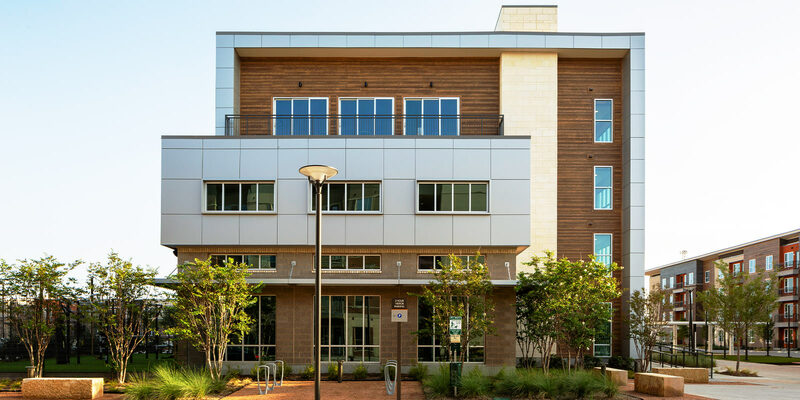 This project was design-build and was delivered in 22 months after the project was awarded. 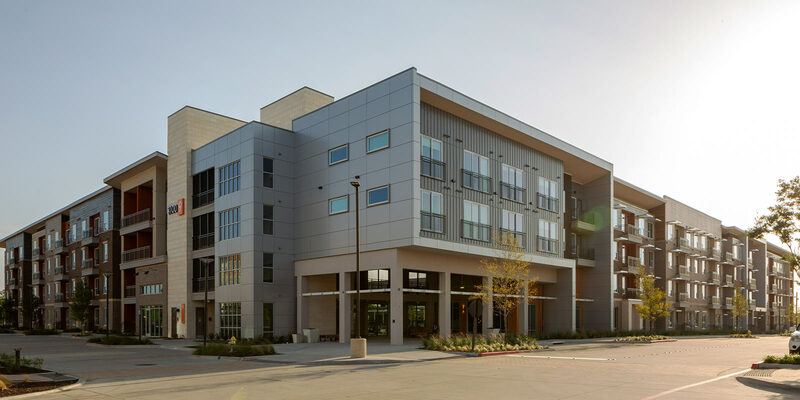 The fast-pace was achieved through the use of early release packages, the use of BIM and data-driven modeling, and a cohesive design-build team.